Kristin is creative marketing professional with extensive experience building successful lifestyle brands and expertise in the ever-evolving digital media landscape. Previously, she spent five years at Garden & Gun, an award-winning magazine and lifestyle brand, where she spearheaded developing strategic digital and social media strategies, drove successful multi-layered marketing campaigns, and launched new business extensions. Her prior experience includes working in integrated marketing at Southern Living Magazine, managing marketing partnerships and licensing for the Southern Living idea house, hotel, and inspired communities programs. She brings a multifaceted background with experience in business communications, consumer marketing, website development, copywriting, video production, content development as well as media and influencer relations. 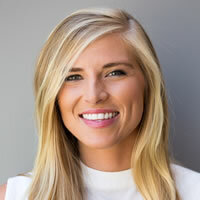 Kristin holds a Bachelor of Science degree in Business Administration with an emphasis in marketing and entrepreneurship from the University of South Carolina.